“Print the Legend” a New 3D Printing Movie Coming Soon! There’s a new documentary about 3D printing called “Print the Legend” that tells the story of cutthroat 3D printing start-ups. The movie centers on the question, “The 3D printing revolution has begun. Who will make it?” The story isn’t about 3D printing technology explicitly, but rather groups of entrepreneurs in an exploding industry. The movie was screened and won an award at this year’s SXSW and it was also announced it would soon be available exclusively on Netflix. You can watch the trailer here. For the first time in history, the stories of the human beings building an industry have been filmed. The result: “Print the Legend”, which follows the people racing to bring 3D printing to your desktop and into your life. For the winners, there are fortunes – and history – to be made. “Print the Legend” is both the definitive 3D Printing Documentary – capturing a tech in the midst of its “Macintosh Moment” – and a compelling tale about what it takes to live the American Dream in any field. 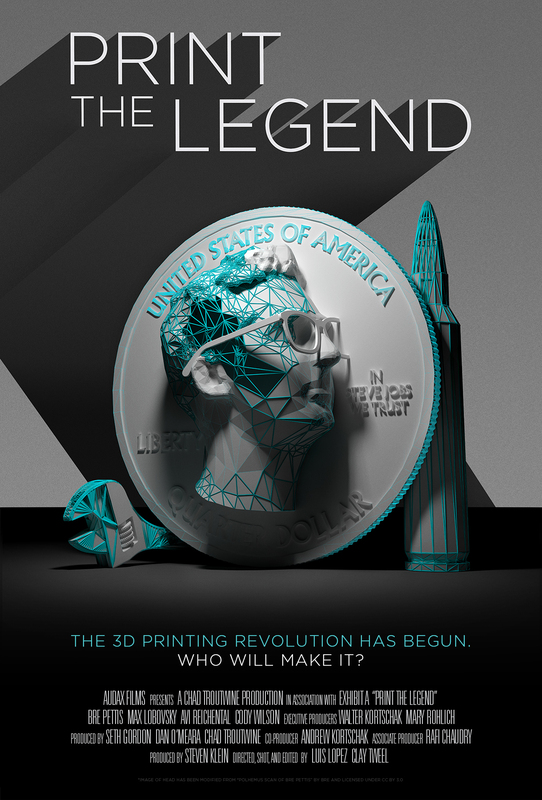 “Print the Legend” cinematically describes the current 3D printing revolution by the telling of human stories of entrepreneurship, creativity and drive. In engineering we often focus solely on the technology, but this is a unique opportunity to look at both the technology and the people behind it. In related news, Machine Design is running their Movie Madness competition (think NCAA basketball March Madness) where you can vote on the World’s Greatest Engineering Movie. There is a mix of old and new, from “The Right Stuff” to “Apollo 13” to “Gravity”. If you want to vote in the 1st round get there today (3/3/14) as voting closes in the first round before reopening for the 2nd round on Tuesday April 1st. Will “Print the Legend” be a part of this someday? Only time will tell, but with a great team and a hot topic this movie could be a legend itself. ← Are There Secret Tags on your 3D Prints?